The Epicurean 18 x 13 in. 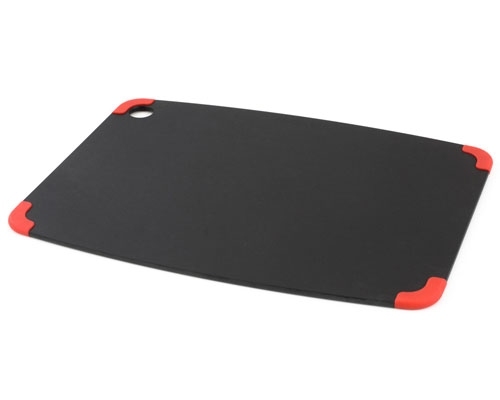 Slate/Red Gripper Cutting Board is an excellent alternative to large cutting boards that take up counter space. Place it on your counter, and go to work. The cutting board stays in place because of the soft silicone corners. Use one side for processing meats, and then flip it over for vegetables. Once you're done, toss it in the dishwasher, and put it away. Knife friendly surface.